Ideal for raising chairs, beds and other furniture to a more convenient height. Broad-based for stability. Simple to use. Strong and reliable. Low, durable lip around the top of each raiser helps to prevent furniture legs from sliding off. Cone shaped black raisers 80 mm top diameter accepts large furniture legs. Central depression ensures furniture legs fit securely in the center of the raiser. 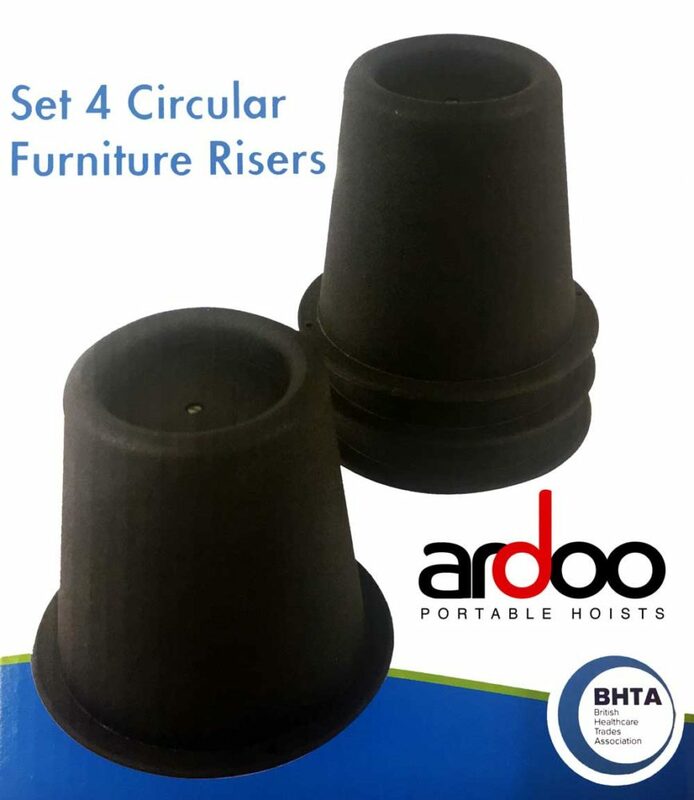 Raises beds or chairs by 5.5-inch (140 mm) to make lowering or raising easier. Slips easily under existing furniture legs. The height of a chair or bed should be suitable for easy transfer to adding the height of the raisers a safe and economical solution can be achieved. Maximum user weight 140kg (22 stone).